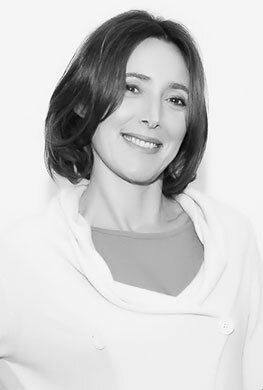 Today I have the pleasure to tell you about a wonderful experience I had thanks to Liora and David. 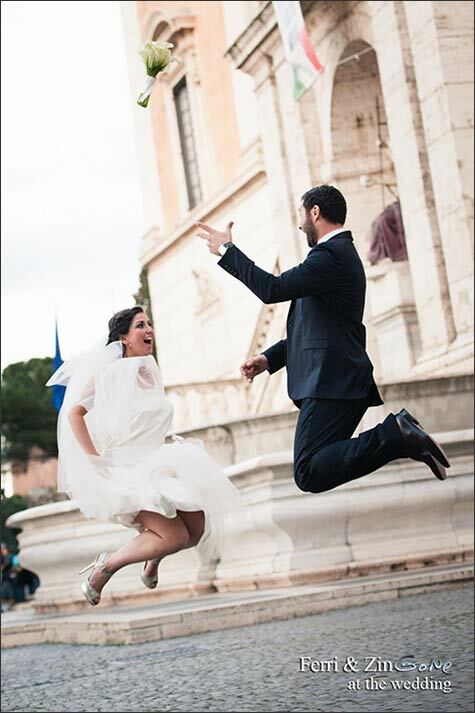 Liora and David come from France and they decided for Rome to tie the knot. 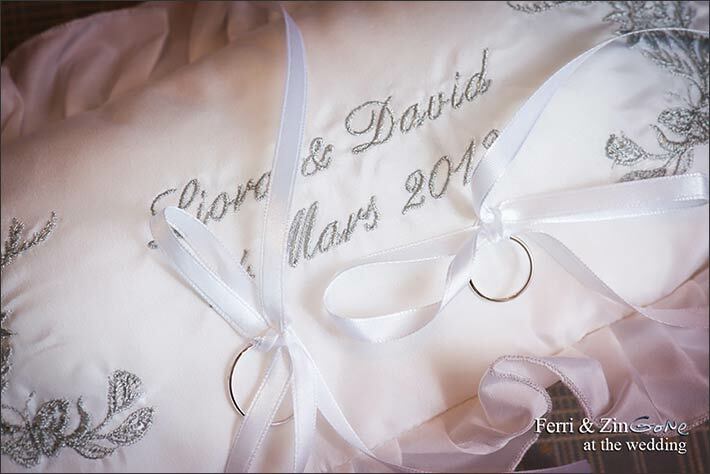 David and Liora’s wanted a wonderful jewish wedding inviting many members of their family and friends all coming from France. For me this was a great experience. 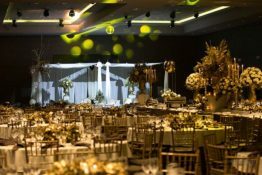 I had the chance to plan a three days event following all jewish traditions. 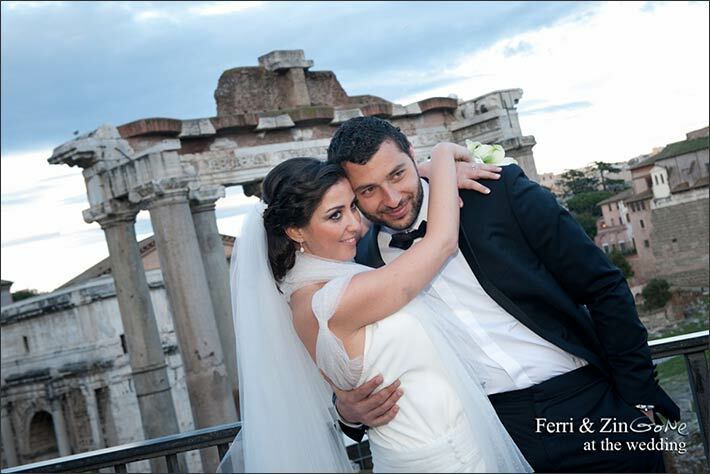 I decided to suggest to Liora and David to spend their Roman days a wonderful hotel in the centre of Rome. This way all side activities were very easy to plan and reach. The day before Liora was ready for her mikveh at the synagogue. Liora had to do her ritual purificating bath before being ready for the marriage. 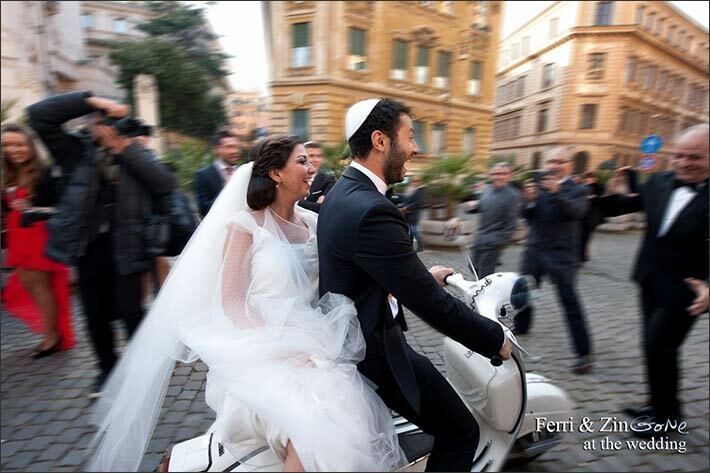 For the day of the wedding everything was planned to have a wonderful ceremony in Rome synagogue, just inside famous Jewish Getto, one of the most famous and beautiful area to visit in Rome. 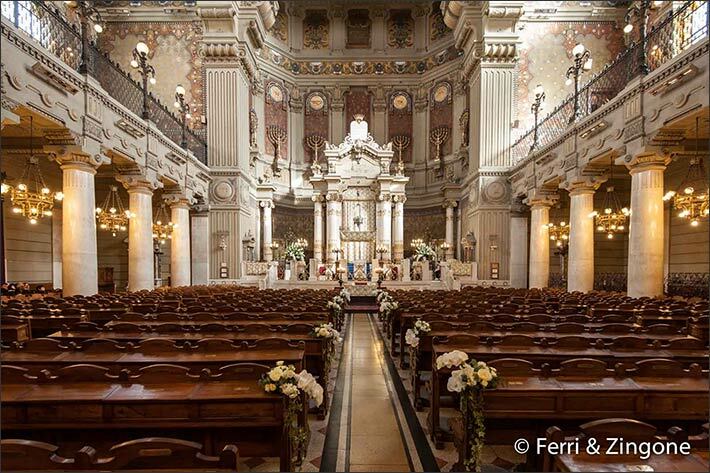 You can see some great shots of this stunning venue that could be just ideal for your Jewish wedding in Italy. 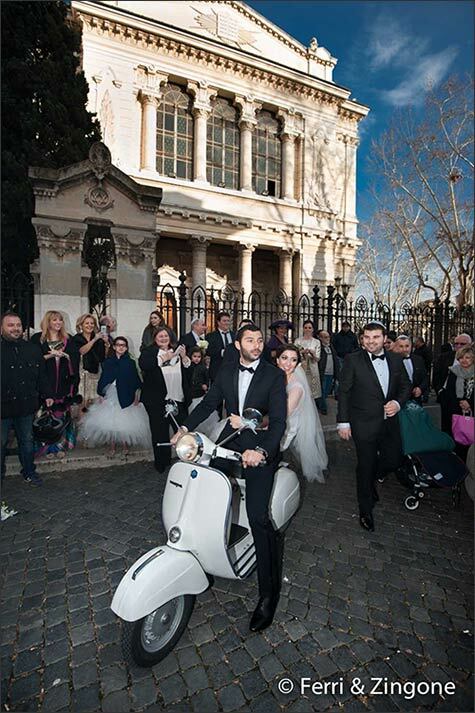 David arrived on a Vespa, such an original entrance while beautiful Liora reached him and the group on board of a white bridal Beetle. Very cute. 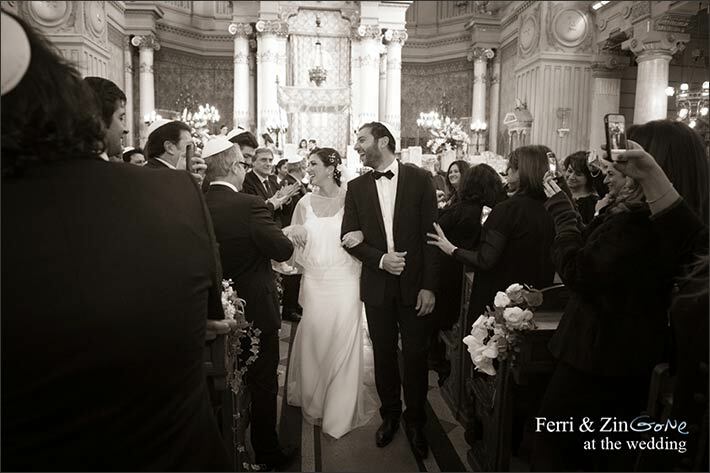 I had the chance to experience a real Jewish ceremony and I’m happy to share all details with you. 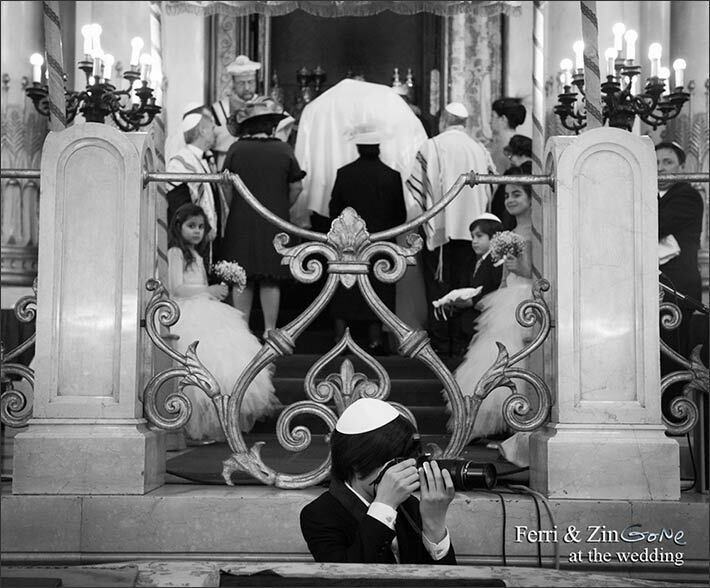 Jewish ceremonies are really something amazing. First of all there is the ketubah. This is a real a marriage contract that needs to be signed by two witnesses. 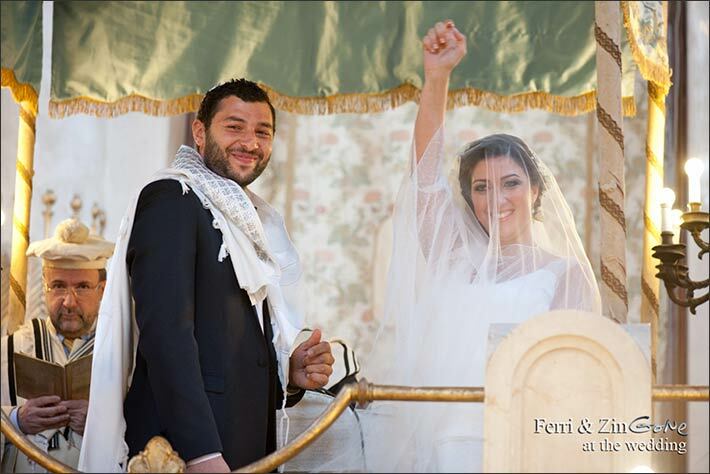 Bride and groom needs to be with Rabbi under a wedding canopy called Huppah and to tie the knot the groom gives a ring he owns to his wife to be. After that a glass needs to be broken and couple is married! 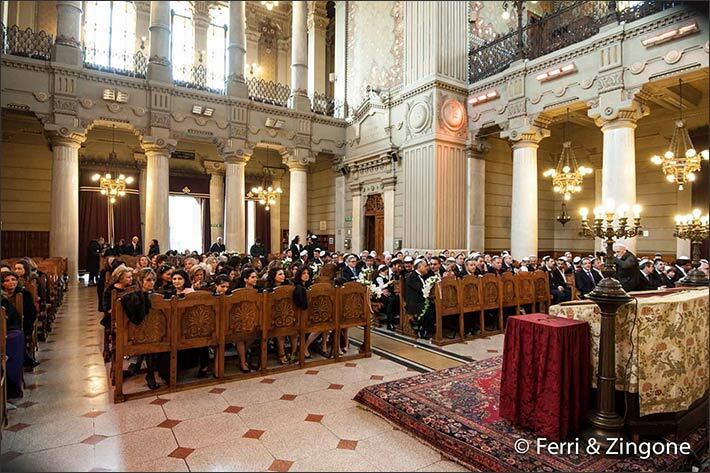 I loved being inside Rome synagogue in occasion of this event! 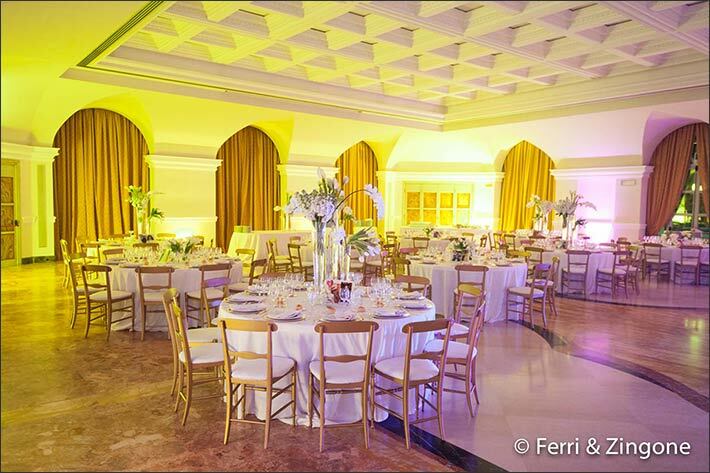 It is a special emotion as the venue is just stunning. 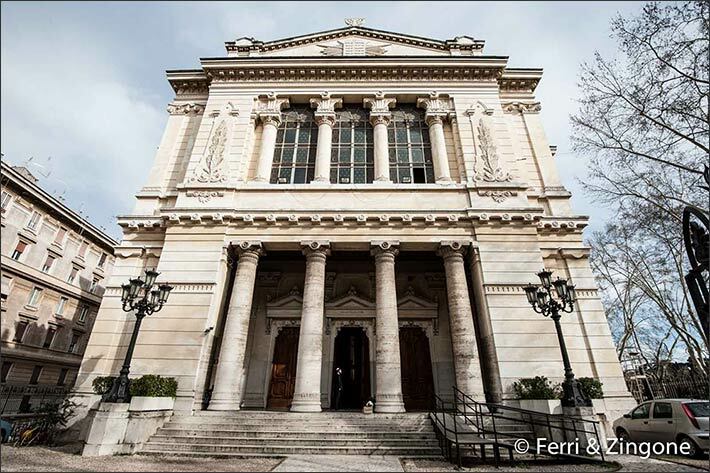 Synagogue in Rome was built in 1870, few days after the unification of Italian Country in 1861. 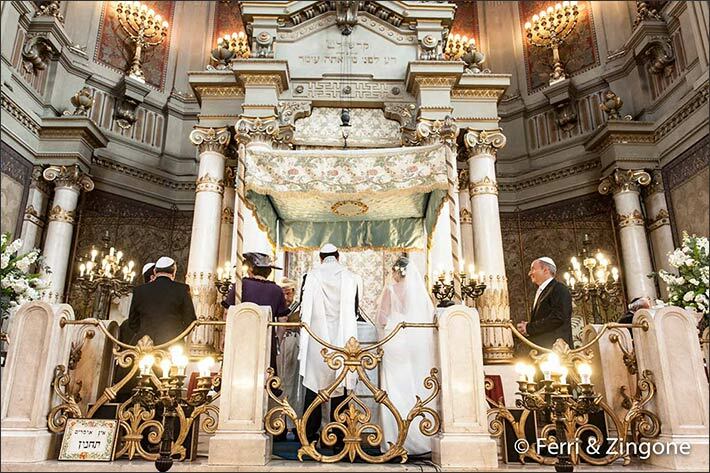 However Jewish community in Rome is present since 2nd Century BC. 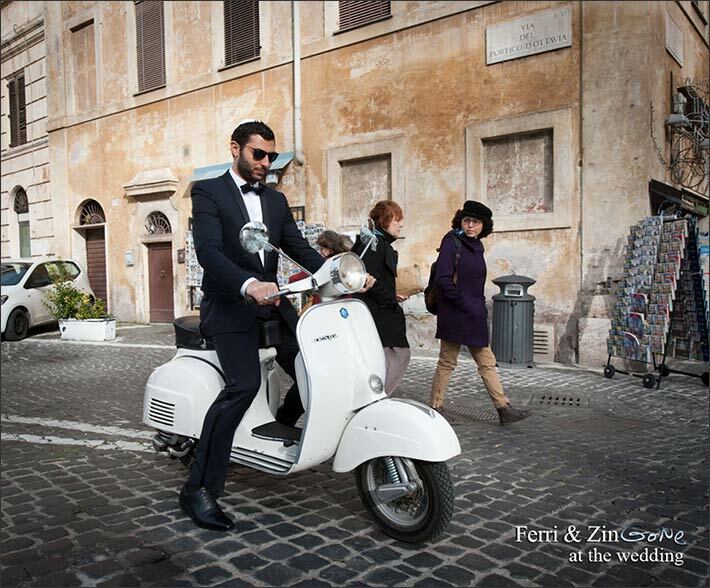 It is located just in front of Tiber banks overlooking former Jewish getto. 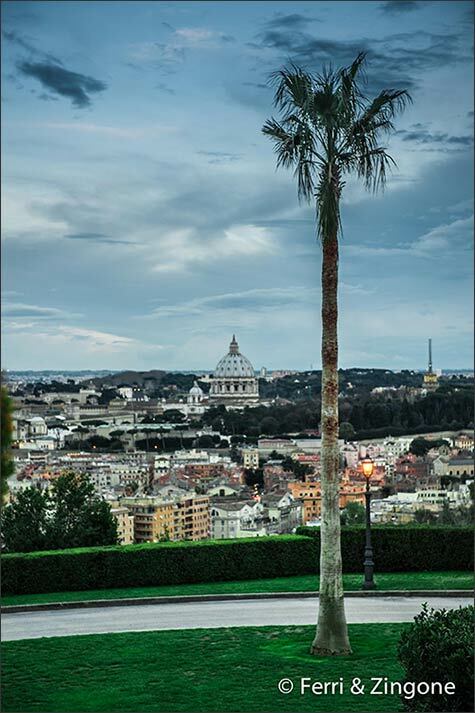 The building is surely one of the most notable in Rome and its dome in aluminum is the only square one in the city that make it easily identifiable from a distance. After the ceremony Liora and David took the chance to spend some time together for some photos. 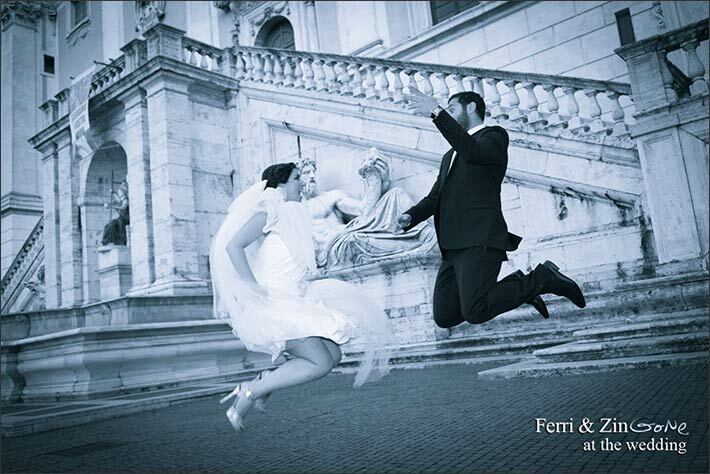 You can see here some amazing shots taken by Ferri and Zingone Studio in Rome. 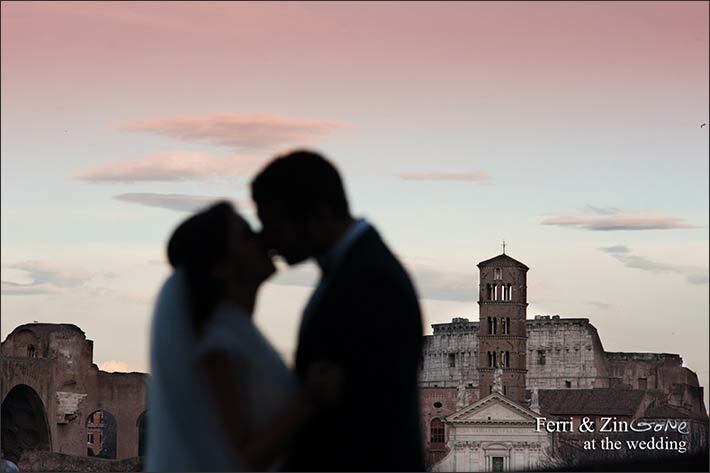 Two great Roman photographers working together for the occasion. 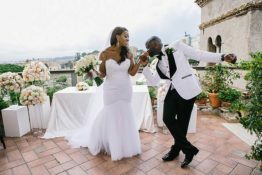 For their reception Liora and David chose one of the most amazing villa in Rome. The view from here is simply breathtaking. A terrace on Rome. More than 200 guests were waiting for them just here. 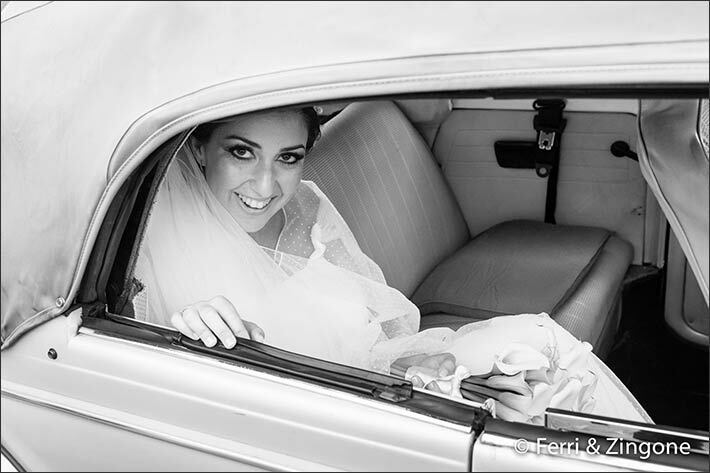 Liora and David got married in March. 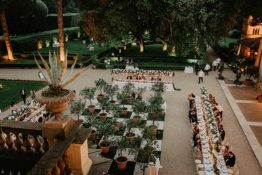 Temperature is mild and pleasant in Spring in Rome but they opted for an indoor aperitif and reception. 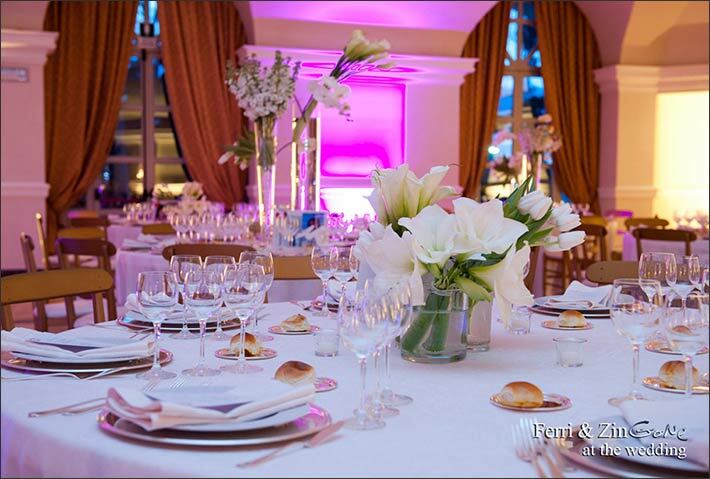 Of course all reception was prepared with kosher food and wines following regulation of kashrut Jewish dietary law. 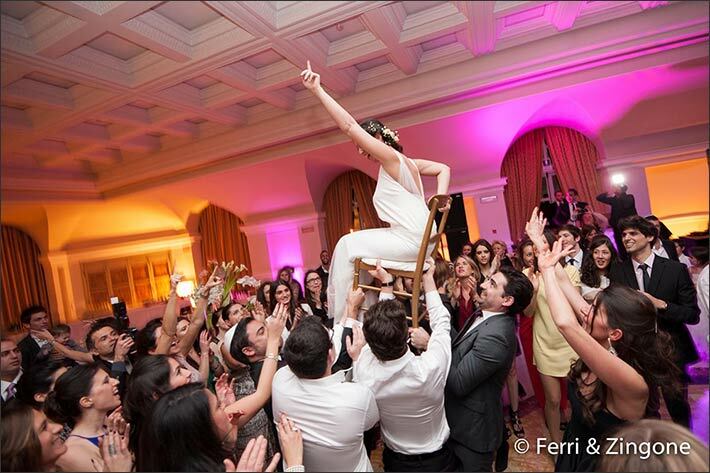 A jewish party is so much fun!! Dances and music scan the full meal. Before each course is served dances and fun is appreciated by everyone. 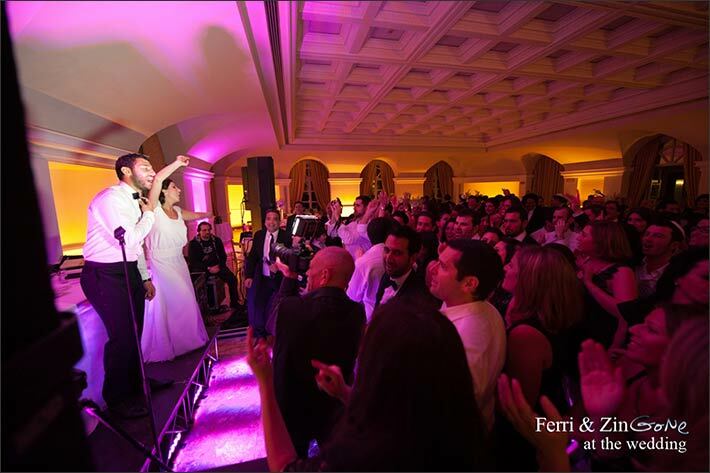 According to Jewish tradition Liora and David have their first dance on two chairs carried all over the dance floor by their siblings and friends! For their after dinner party some more dances, the wedding cake and a great sweet buffet. A gourmand dinner for sure. My experience did not finished here! 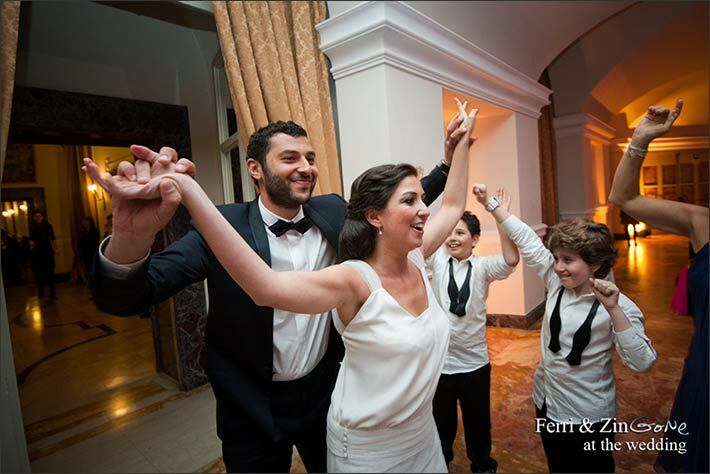 For the day after Liora and David planned many activities for their guests. Side of the ritual Shabbat on the day of rest, they also planned a tour of Rome ending in Piazza Navona where a surprise was waiting for them: ice cream for all and traditional Roman singers – Stornellatori – playing some traditional music for them just in the square. Who can imagine something more Italian and Roman than this? I’m sure I will remember this event for a long time and so Liora and David and their families and friends. 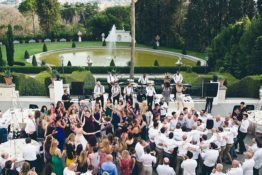 A wonderful event in a wonderful context: Rome a dream city I love! Planning in partnership with SposiamoVi. 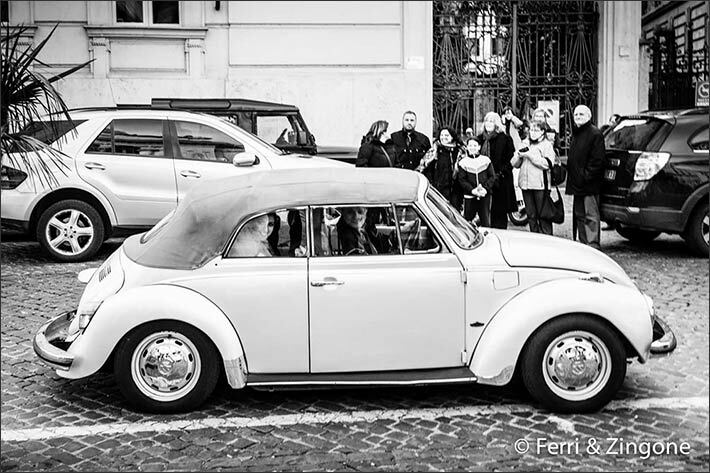 Photos courtesy of Ferri & Zingone, wedding photographers in Rome.